﻿ Real Madrid 4-0 Cruz Azul. Time to make history! 16.12.2014 » Real Madrid 4-0 Cruz Azul. Time to make history! Another game and another beating handed out by Carlo Ancelotti's men. 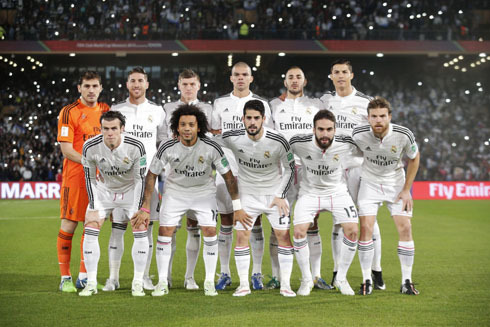 Real Madrid earned the right to play the 2014 FIFA Club World Cup final, after defeating Cruz Azul by a 4-0 scoreline this Tuesday night in Marrakech. Cristiano Ronaldo may not have scored, but he still found a way to assist Bale and Isco for his team two last goals. 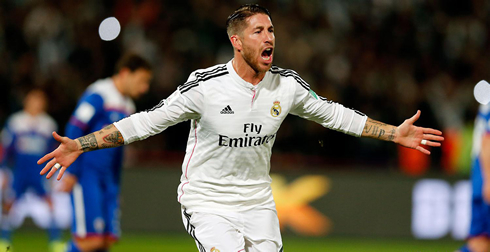 The other goalscorers of the evening were Sergio Ramos and Karim Benzema. The Real Madrid juggernaut went on tour to a different part of the globe today, as Carlo Ancelotti's side rattled off yet another impressive victory, beating Cruz Azul through an expressive 4-0 scoreline and making it 21 in a row now, for those keeping score. Though the Merengues were heavily favored heading into their FIFA Club World Cup semifinal against the Mexican side Cruz Azul, Carlo Ancelotti would not take his foot off the pedal, naming a full strength side to take on last season's winners of the CONCACAF Champions League. The outcome was, how many had probably predicted before the game, Real Madrid easily trampling Cruz Azul and securing their spot in the tournament's final, where they'll either meet San Lorenzo from Argentina or Auckland City from Australia. In front of a packed and predominantly pro-Madrid crowd in Marrakech, Morocco, Real Madrid made light work of the Mexican side and looked dominating at times, confidence exuding from each player on the pitch. However and despite the final 4-0 score line which tipped heavily in favor of Carlo Ancelotti's men, Cruz Azul played an excellent first half and if not for some better luck, they could have potentially walked into half time tied at 2-2. The Merengues didn't take too long to get started though. Right in the third minute of the first half, a Benzema header into the six yard box fell straight to Ronaldo, but his point blank effort was smothered by Corona in the Cruz Azul goal. It would only be a matter of time though and it didn't take too long for Real Madrid to hit the net, courtesy of big game hero Sergio Ramos. As he did earlier this year in the UEFA Champions League semis and finals, the centerback rose to the occasion and headed in a Toni Kroos free kick around the 15th minute, giving Madrid a 1-0 lead. Spurred on by the raucous crowd, the reigning European champions seemed eager to get a goal and kill the game off early, but Cruz Azul stood their ground well in the face of the Madrid pressure. Their resolve would be broken again on the 36th minute, this time through a flawless finish from Karim Benzema already inside the box and after some brilliant work by Dani Carvajal down the right flank. The Spanish international initially attempted to play the ball at the top of the box to a waiting Cristiano Ronaldo, but after that was cut out, he went for plan B; nutmegging his defender before chipping the ball perfectly for the Frenchman, who pounced well and finished. However, the game could have taken a huge turn in the 40th minute of the first half, when Sergio Ramos was penalized for an alleged foul inside the box. It would then be time for a newly confident Iker Casillas to save his blushes, producing his second potentially game saving penalty stop in as many games, as he pushed Gerardo Torrado's penalty wide. 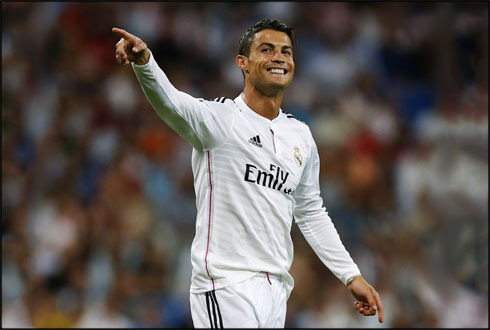 In the second half, Real Madrid turned on the style and began to dominate the game. 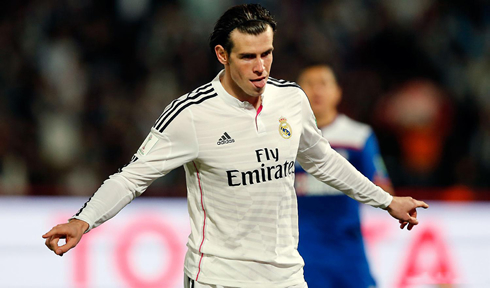 Merely four minutes in, they would add their third, thanks to Gareth Bale. An easy header from the former Tottenham winger, following a perfect Cristiano Ronaldo cross. Ronaldo coincidentally wouldn't get on the score sheet today, despite numerous efforts including an audacious rabona attempt that the crowd seemed to enjoy. Still, the Portuguese phenom would get his second assist of the day, after some patient dribbling on the wing freed up the space for a pass to Isco. The Spaniard would do the same, dribbling past one player before placing his shot into the back of the net. All it all, it ended up being an easy game for Madrid in the end, as they'll now be looking forward to their 4th trophy of 2014, in the upcoming final against the winner of the other semifinal tie scheduled for this Wednesday, between San Lorenzo and Auckland City FC. Attackers: Gareth Bale, Cristiano Ronaldo, Benzema. Cristiano Ronaldo next game will be in the FIFA Club World Cup final, against either San Lorenzo or Auckland City, this next Saturday, December 20. You can watch Juventus live stream, Real Madrid vs San Lorenzo, Barcelona vs Cordoba, Bournemouth vs Liverpool, Tottenham vs Newcastle, and Borussia Dortmund vs Wolfsburg, all matches provided from our soccer live streaming game pages.